You are currently browsing the category archive for the ‘Eberhard Bethge’ category. Soon there was no doubt that Dietrich did not share his elder brothers’ scientific inclinations; he preferred thrilling books and made unusual progress in music. Not that his brothers and sisters were unmusical; Klaus later played the cello with great sensitivity, and none of his brothers or sisters ever wanted to miss the family musical evenings. But Dietrich made such musical and technical progress at the piano that for a time both he and his parents thought he might become a professional musician. Is the Rise in Anti-Semitism One of the Church’s Unpaid Bills? Sadly, but predictably, finger-pointing abounds as Americans seek answers and assign blame in the wake of the slaughter of 11 worshipers at the Tree of Life synagogue in Pittsburgh, Pennsylvania, on Oct. 27. But the rise of anti-Semitism in our culture is undeniable. According to the Anti-Defamation League, anti-Semitic attacks increased by almost 60 percent from 2016 to 2017. The ADL also announced that the Pittsburgh massacre was the deadliest assault on a Jewish community in our nation’s history. While no single factor ever explains the sociological, psychological and spiritual factors which contribute to such evil, the American church should also do some soul searching. Have we (myself included) promulgated a shallow theology, at times confusing and distorting Christianity’s relationship with Judaism? When I was a boy, a small Baptist church nearby went through a noisy controversy when the Vacation Bible School leader hatched a plan to have an area rabbi visit with the VBS children. “What? !” screamed the deacons, “Exposing our precious children to heresy?” The plan was quickly abandoned, because, after all, they were a Christian church. Why would the branches want to learn anything about the root (Romans 11:16ff)? The church’s neglect of sound teaching is like failing to pay our bills. We are still required to pay, but now with interest and penalties compounding. One of the tragedies of history is that demagogues and other unstable people rarely grasp the church’s strong, clear teachings. But they almost always gravitate to the doctrines we neglect or muddle. Adolph Hitler was not the last tyrant to blame the Jews for Jesus’ death. How well have we in the evangelical wing of Protestantism clarified that all of humanity crucified our Lord? A power-crazed Gentile government in league with Judaism’s corrupt church – the execution of Jesus was truly an equal opportunity event. In an interesting coincidence of timing, just days before the Tree of Life murders, I took part in an area pastors’ peer group discussion of recent trends in Pauline theology. David May of Central Baptist Theological Seminary led us in some thoughtful reflection on “Paul, the Judean.” Noted scholars, including N.T. Wright (Paul: A Biography) and Mark Nanos (The Mystery of Romans), have written persuasively of the continuity as well as discontinuity in the Judeo-Christian message. In these dark days when anti-Semitism is on the increase, some of us have been revisiting the life and writings of Dietrich Bonhoeffer. 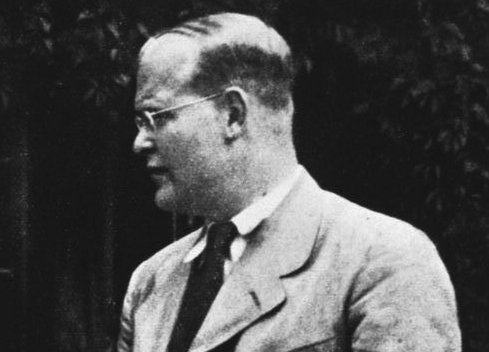 In the build-up to World War II and the Holocaust, Bonhoeffer was one of the first and the few to call the church to stand with the Jews. I take some comfort, however, in the fact that not even Bonhoeffer always got it right. His twin sister, Sabine, was married to a Jew, Gerhard Leibholz. When Leibholz’s father died, the family asked Bonhoeffer to officiate the funeral. After agonizing over the invitation, he declined, a decision he almost immediately regretted (Eberhard Bethge, Dietrich Bonhoeffer, p. 209). Bonhoeffer was ashamed and wrote honestly about his failure, a reminder that we are all captives of our culture, struggling to get free. From his earliest childhood Dietrich Bonhoeffer was accustomed to being privileged, not the underdog. Admittedly, this was true only up to a point in terms of his position among his siblings. This position had some significance for his development, and probably for his choice of career as well. As the three “little ones,” he and his sisters had all the advantages and disadvantages of youngest children. It was natural that the sturdy and gifted boy should sometimes try to rival or even surpass his big brothers and, indeed, in the field of music, he did surpass them. This secret rivalry helped to make theology attractive, since it offered something special of his own. The distance between the two groups of children was increased by the war, which confronted the older children with its terrible realities early, while the younger children remained at home. ~ Eberhard Bethge, Dietrich Bonhoeffer: A Biography (Revised Edition); Chapter 1: Childhood and Youth: 1906-1923, 20.